Everyone involved in every high profile sport of some sort manages to find themselves in the eye of the storm at some point or the other. In F1, either the drivers find themselves embroiled in controversies, or the team owners, and members of the controlling body of the sport have said something or done something that's ticked someone off. 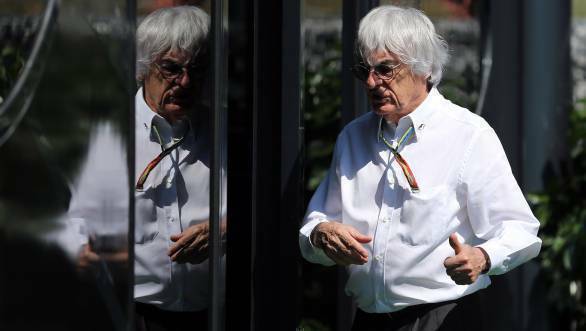 But to regularly do things and say things that manage to land you in trouble, and to consistently get away with it, you have to be a man like Bernie Ecclestone. Here's a list of some of ol' Bernie's many misdeeds in Formula 1, even as he bids the sport farewell. it was good for F1". A rather crass thing to say, with an equally crass thought behind it. Of course, more recently he said something just as terrible. Given that Jules Bianchi lost his life in 2015, having been in a coma since his crash at the Japanese Grand Prix in October 2014, it wasn't a particularly nice touch for Bernie to say that crashes in F1 ought to be made a part of the show just a little bit more. That's exactly what he did, though. Ecclestone said something to the effect of every time there was a crash in F1, they ought to surround the scene with some white curtains, take the injured driver away in an ambulance, allow the suspense to build up a little, and then release the information (after causing everyone much anxiety) that all is in fact okay. In rather poor taste. Well, Bernie's been very vocal about the fact that he's unsure what women can accomplish in F1, because he doesn't believe they'd be able to take the strains and stresses that the sport would put them through. And that's something that he worded rather politely. But then he's gone and made a few remarks about what he'd like if a women were to make it to F1. "She would have to be a woman who was blowing away the boys. What I would really like to see happen is to find the right girl, perhaps a black girl with super looks, preferably Jewish or Muslim, who speaks Spanish." He's also once said a choice thing or two about Danica Patrick, dismissing the fact that she led an IndyCar race by saying "You know I've got one of those wonderful ideas ... women should be dressed in white like all the other domestic appliances." Let's not forget, this is the same man who remarked after his daughter's wedding that he didn't like giving her away, and that he'd have rather sold her. 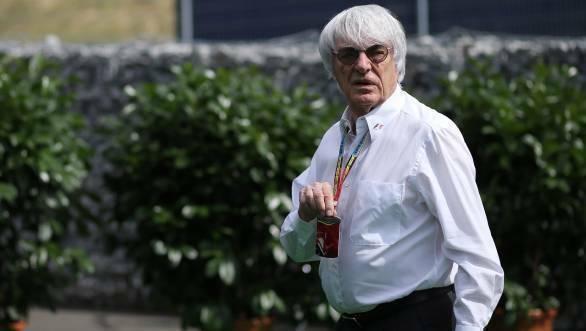 It doesn't take a particularly keen knowledge of Formula 1 to know that Bernie managed to be sole puppet-master of the sport for as long as he could manage. Which is a clear indicator of just how much he likes to be in control of things. Which is why it should come as no surprise that Bernie's a big fan of totalitarian regimes. In fact he went so far as the say that he believes Hitler is the sort of chap who could get the job done. Yes, he did mean Adolf Hitler. "In a lot of ways, terrible to say this I suppose," he said, "but apart from the fact that Hitler got taken away and persuaded to do things that I have no idea whether he wanted to do or not, he was in the way that he could command a lot of people, able to get things done." Ecclestone might have been the most powerful figure in F1, but he certainly wasn't the most popular figure in the sport, especially back in 1997 when he staged a big coup that allowed him to take the sport over. Essentially he managed to keep the television rights to F1 in exchange for an annual fee, which served to make Ecclestone a very rich man indeed. However, it also meant that he incurred the wrath of the teams, who lost a good deal of money in the process. 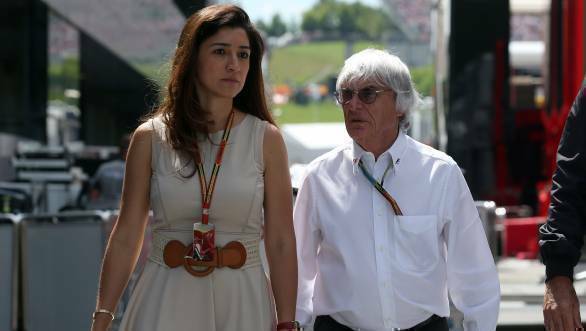 For more on how Bernie managed to take over the world of F1, you can read our story here. In 1997 the British Labour Party that was in power at that time was firmly anti-tobacco. In fact, they had pledged to ban tobacco advertising, which meant that F1 teams were in a certain amount of trouble. After all, almost all the major F1 teams back then had some sort of tobacco sponsorship. Ecclestone and Max Mosley (the then president of the FIA) met with Tony Blair, the Prime Minister of the United Kingdom. Soon after the meeting, Britain's Minister for Public Health, Tessa Jowell, who had been staunchly anti-tobacco until then, argued to exempt Formula 1 from the tobacco ban. However, when it came to light that Ecclestone had made a major donation to the Labour Party, to the tune of 1 million GBP, and that that had swung things in their favour, several eyebrows were raised. Of course the Labour Party and Blair took a lot more flak than Ecclestone did. Probably Ecclestone's most famous controversy. Back in 2013, he found himself indicted for bribing German lawyer Gerhard Gribkowsky. To cut a very long story short, when F1 came up for sale, Bernie wanted to retain control of the sport. The way he chose to do it, was to bribe Gribkowsky into tipping BayernLB in the favour of CVC, the company that had promised to retain Bernie as the head of the sport even after they took over. If you want the longer version of how it all played out, you can read it right here. But you must know that Bernie denied the bribery charges. He instead levelled a blackmail charge against Gribkowsky, stating that the lawyer had threatened to snitch on a trust fund that Bernie and Slavica hadn't declared yet. Bernie paid a hefty fine, and got off on all charges.